34" x 12'6" x 67"
3" x 108' roll. 16 rolls per case. 3" wide x 108' long single-sided tape. 16 rolls per case. Description - Need to protect your new gymnasium floor, but waited to the last minute to order floor protectant for it? 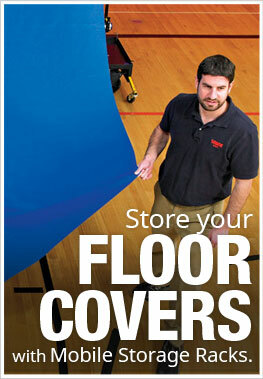 Well fret no more with our Pre-Cut Gym Floor Covers. Our Pre-Cut Gym Floor Covers offer all the great benefits our our custom cut Gym Floor Covers but in quick shipping pre-cut sizes. These rolls are available in 4 ounces and in our two most popular colors. Weight – Available in 18oz., 22oz., 27oz., and 32oz. rolls.